Why Are Airsoft Guns So Popular? Owning a real gun is beyond the means of many people for various reasons like acquiring a license and steep price. The next best alternative to it are Airsoft guns. 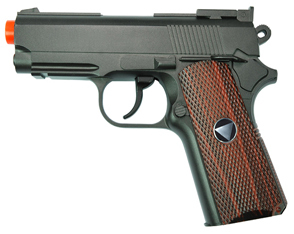 An airsoft gun can be of three different types. It can either be a gas powered gun or a spring airsoft gun or an electric gun. Read full article.